From Alfred, Lord Tennyson’s Idylls of the King (1859). 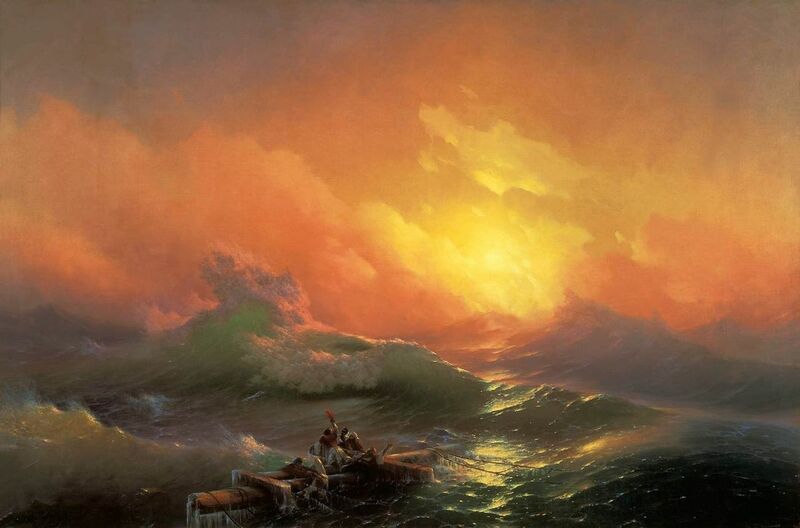 This entry was posted in art, dream, history, poetry and tagged Ivan Aivazovsky, Tennyson, the ninth wave. Bookmark the permalink. Water has special biblical significance and Aivazovsky told stories within his painting that allowed water to represent human emotion. I was startled twice during contemplating Simone Weil when I realized Aivazovsky was depicting her profound observation. It is as though these ideas have an independent existence which we are normlly unaware of but sometimes those like Simone and Aivazovsky depict in their own exceptional way.